FIFA has invited youngsters from all its 211 member associations, including Zimbabwe, to participate at this year’s Gazprom run Football for Friendship social programme to be held in Russia ahead of the 2018 World Cup finals. 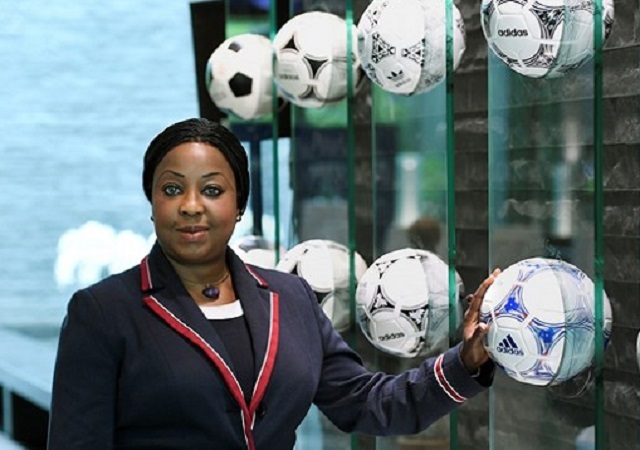 The programme will run from June 8-15, according to a communiqué from Fifa secretary-general Fatma Samoura. “I am happy to announce the launch of the sixth edition of Football for Friendship (F4F), Gazprom’s annual international children’s social programme that has been organised since 2013. This year, the final events of the programme will take place in Moscow, Russia, for the first time from 8 to 15 June, right before the start of the 2018 Fifa World Cup. The aim of F4F is to develop youth football by championing youth sport and a healthy lifestyle as well as by promoting tolerance and friendship among children from different countries. It’s key values are friendship, equality, fairness, health, peace, devotion, victory, tradition and honour. “The F4F 2018 programme will unite 12-year-old football players and journalists from 211 countries and regions. F4F is a unique place where young participants of different backgrounds, nationalities and physical capabilities, not only meet and communicate with their peers from other countries, as well as with famous football players and public figures, but also become young ambassadors to promote universal values among their peers,” Samoura wrote. The young participants from the 211 countries and regions from all over the world will be merged into 32 international mixed “teams of friendship”. Each team will gather children of different nationalities, with their own backgrounds and abilities, playing together side by side. The 32 teams will compete at the F4F World Cup on June 12, 2018. The following day, the young ambassadors will meet at the important F4F International Children’s Forum to discuss ways of promoting the programme’s key values across the globe. The F4F project has a special prize, the Nine Values Cup, a unique trophy awarded annually to a professional football club for the implementation of social initiatives based on the project’s values. The winner is chosen by the young F4F ambassadors through a vote held in all countries participating in the project. “Having participated in the fifth F4F Forum in St Petersburg in 2017, I would like to say that we are delighted to support this unique initiative of Gazprom, one of our valued official partners. It is a perfect example of how football provides equal opportunities for girls and boys and Fifa is always happy to support such initiatives.